What's Wrong With this Nana Oye Lithur Photo? 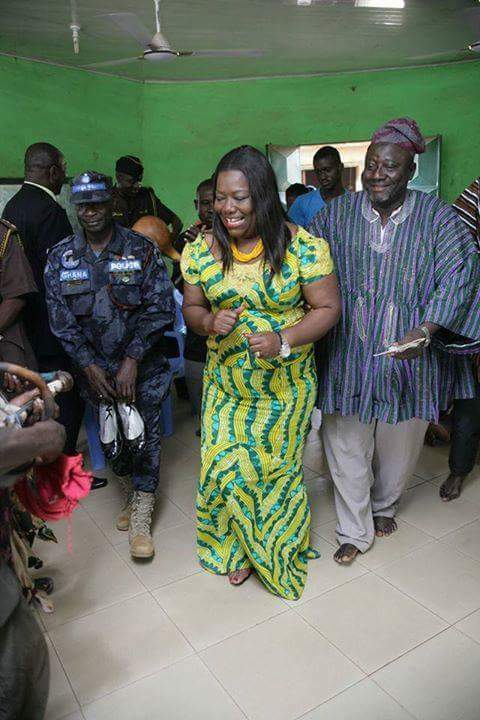 The above is a photo of Ghana’s Minister for Gender, Children and Social Protection-Nana Oye Lithur dancing with a state police officer by her side. There’s something out of place happening—which you can spot if you take a good look at the photo. Indeed, this photo confirms that Nana Oye Lithur is damn powerful, more than we even thought. And for the policeman, we really feel sorry for him—may his son grow not to take up such a job. We didn’t even know this was part of a policeman’s duties. What do you think is wrong with the photo? All I see is an untamed big belly!!! SOMETIMES THEY FORCE THEIRSELVES TO CARRY OUT THESE TASKS FOR FINANCIAL FAVORS.